The poor quality of Chinese product has been a favorite topic for discussion in the western world. We help you ensure that there is that there is a quality control program is in place so that you do not have any unpleasant surprise once goods are on shelves. Always a little investment in QC goes a long way in protecting your investment and reputation. Once goods are ready, we will send our inspector to collect a sample that we will send along with an inspection report. It is usually best for goods purchased at wholesale market or small orders. To visit factory during production and send reports. 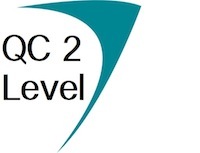 Level 2 QC is usually a viable option if you order at least one container load from a single factory. Trust factory's "In house" testing service. Ship without checking pre shipment sample. This goes for even for repeat orders. Let factory know that you will not check the goods, even you have no real plan to check. Forgo your right to check goods before shipment.